Sometime last week I received 8 2×2′ foam core squared. This isn’t a popular size so I had to get them custom cut. Why order 2 x2 boards instead of 4 x4 boards? There are several reasons. 4×4 boards can’t seemed to be shipped by UPS – instead they get shipped by other methods which are costly. The same held true when I priced out 4×4 steel sheets. Last night I spent about 90 minutes drawing the grid lines – this part is really no fun. I have improved my technique and created some simple tools – but it still takes a while. 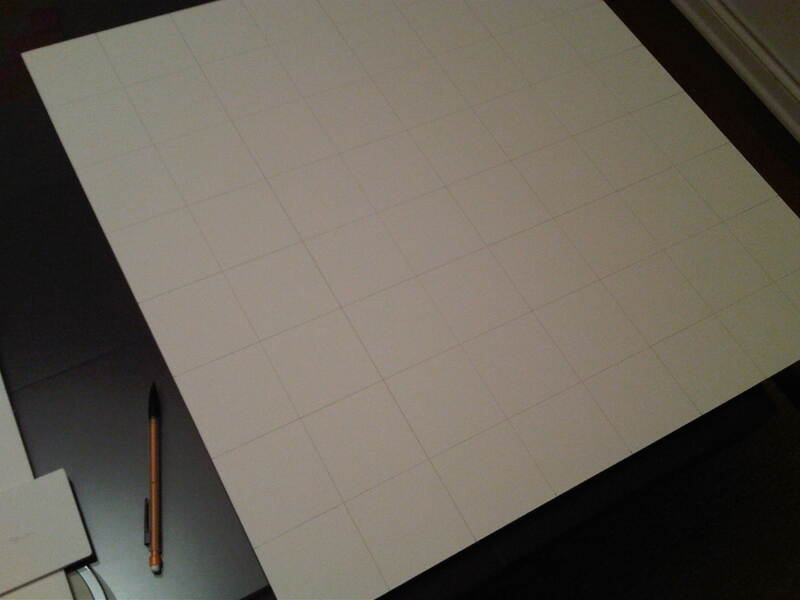 I lined 8 boards because I want to create 2 mosaics. 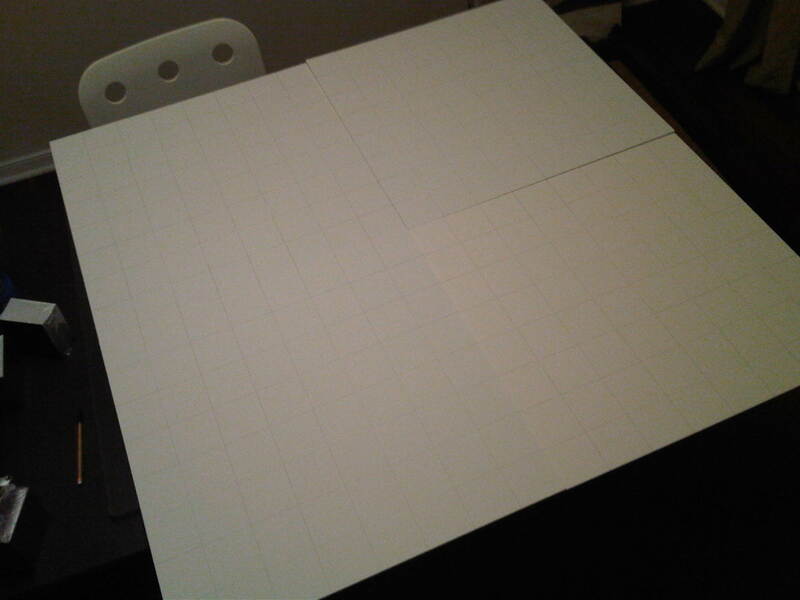 Voila… Four 2×2 boards join to form one 4×4 board. I had to stand on a chair to fit it all into the picture. 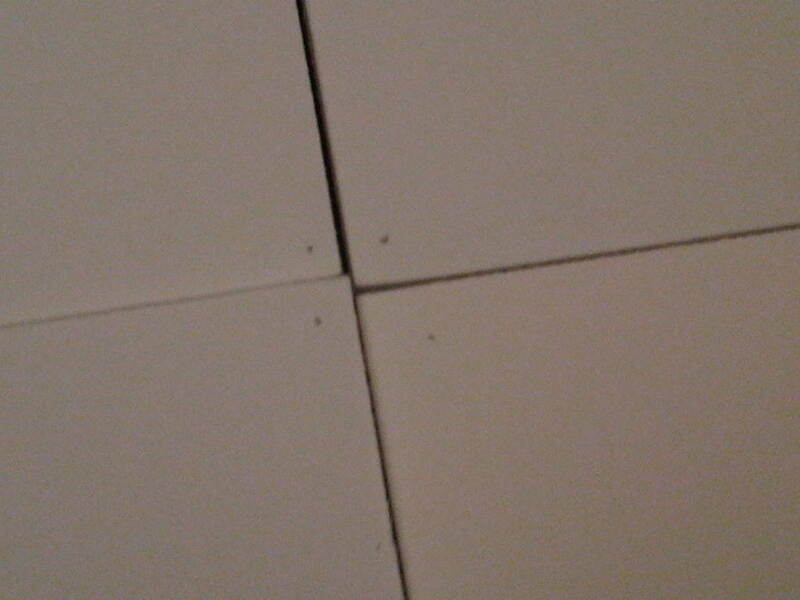 On a related note, I made sure I marked which corners of each square should go in the center. All of the Foam Core boards I ordered were maybe 1/8″ too small so I wanted to make sure the “short” squares would be on the outside border. 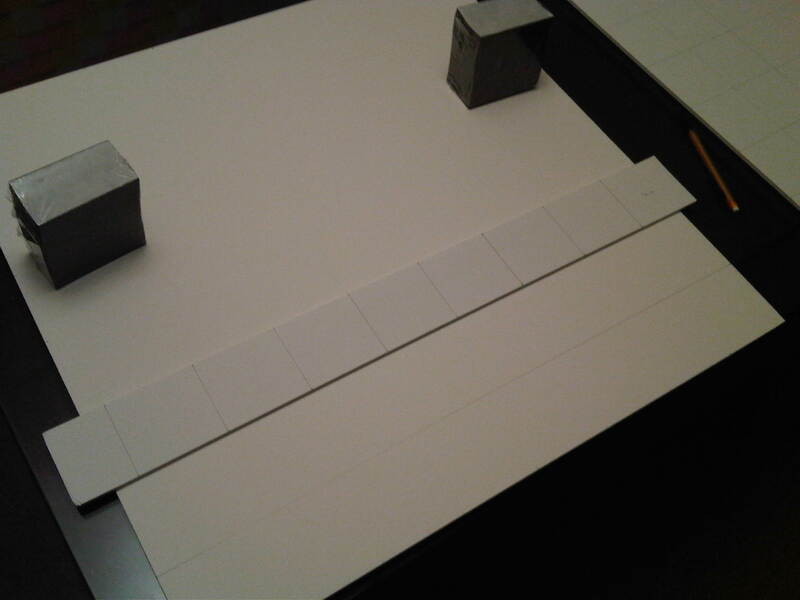 This entry was posted in Prototype 1 and tagged Base, Foam Core, Prototype 1. Bookmark the permalink.